Have u seen ik stock everything. Cus i was waiting sense 6 ota update. But never came. And since does not use tap2wake. I decided to be a badboy and go for behind. So i need help. 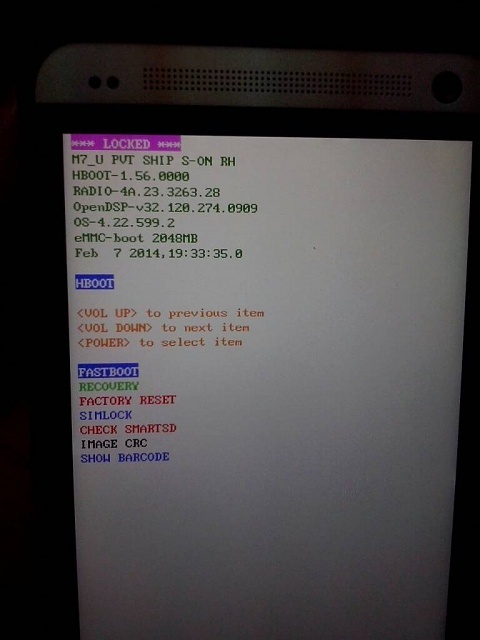 I think this is the order first unblock bootloader, this seem easy. Then i have root to be able to s-off. But how my hboot now is 1. 56 since i kk4.4.2 sense 5.5 ota update. Your steps should be unlock the bootloader, flash custom recovery, flash superuser .zip, then get S-Off. Where did you get your instructions? thanks dude! yes its what i ment =) just in less words. i unlock boot(adb... bin code htcdev giveme), then the recovery(adb twerp.....) then root(adb su......). everything ok . but when i try to s-off its the part where im confuse. since cant use revone or rumruner. but i still dont know if i try firewater. every tutorial is with hboot 1.54 or 1.55 not with 1.56. so im afraid to do it. Use firewater if it doesnt work then nothing loss it wont mess anything up. after installing and rooting im having some sort of bug , when i charge the phone turned off. no charging animation. but the phones charges even not showing it. iv read could be after changing stock recovery, ans posible solution is latest twerp or 2.6.3 at least. im on 2.7. If its charging then its good to go. I dont have any animations either and never have with twrp. Go to YouTube and check out sakitech videos. Very thorough and easy to follow. how to transfer files from your laptop to the note?